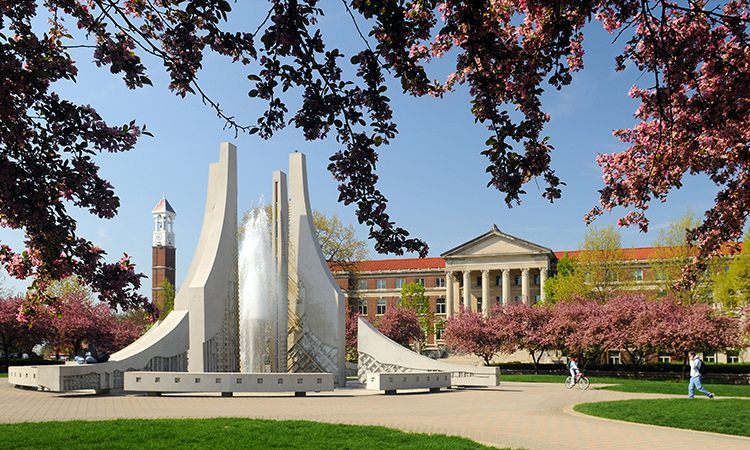 At Purdue, the experience is personal – before, during, and after time in the Executive MBA. When students first show interest in Purdue EMBA Programs, they receive a personalized response from a Purdue team member, who offers a five-part, no obligation Personalized Engagement Package that helps prospective students make the EMBA Program decision that is best for them. The uniquely personalized approach of both Purdue’s EMBA and IMM Global EMBA Programs doesn’t stop after enrollment. Cohorts are close-knit due to the programs’ format. Rather than seeing each other only for class time, students spend one or two weeks together during quarterly residencies. Students study, eat, network, and learn together. While students complete class preparation online, the programs are not online programs. All classes are in-person and on campus. Lastly, both programs value immersion in diverse cultures. IMM students study in seven countries on four continents during the 19-month program. Krannert partners with top business schools in The Netherlands, Hungary, Brazil, and China to accomplish this level of global exposure. EMBA students cap their 19-month program with a two-week international residency at locations that the class selects in consultation with program staff. The curriculum is noted for its electives. The EMBA Program offers workshop-style immersion electives that are chosen by the students. Recent immersion electives include Adoption & Implementation Paradox, Brand Management, Crisis Management & Public Relations, Game Theory, and International Challenges. The IMM Global EMBA Program’s curriculum features functional electives that vary each year depending on the interests and needs of the students. Recent IMM functional electives include Innovation and Entrepreneurship, and Management of Manufacturing and Service Operations. In both programs, students complete an active learning project. These projects allow students to combine previous work experience and knowledge with classroom learning to solve a real-world challenge. Guided by a faculty member, student teams partner with a client company to diagnose and resolve a critical business problem. In both programs, students learn from one another just as they learn from the program’s renowned faculty. The program requires a minimum of five years of work experience, and students come to the program with an average of 14 years of professional experience. They learn from managers in diverse fields, tackling workplace challenges similar to their own. During and after the EMBA experience, students benefit from the programs’ career focus. Career management offerings are woven into the curriculum and cater to student goals. The program provides one-on-one consultations, resume feedback, career track assessment, access to helpful online resources, opportunities to network, guest speakers, and company visits that expose students to best practices and top management. Also, leadership skills are at the heart of the curriculum. Program courses include Managing Behavior in Organizations; Leadership in Organizations; Leadership & MIS; and Change Management.